We know that February’s weather can have our skin feeling neglected from moisture so here are a few tips to help replenish dry skin! These are specifically chosen for those who need that extra pick me up from moisturizers to lip balms. Let’s stay dewy and glowy this winter! Feburary’s weather can take a toll on our skin – we can feel very dry and flaky but don’t want to use something that may irritate it. 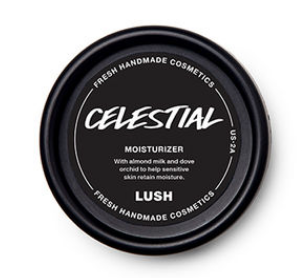 Lush’s creamy butter-base moisturizer is perfect for redness, stinging, and irritation. It’s made with gentle soothing agents to help any skin type stay moisturized this winter! Need an overnight recovery for your dry skin? 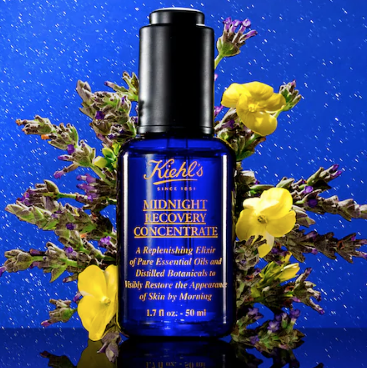 Kiehl’s oil concentrate will replenish and restore your skin instantly. Natural ingredients such as lavender will give you the ultimate hydration your skin desires. It is also anti-aging and promotes a softer and smoother complexion. It can be a little scary putting all these new products on your skin and you may question if you will break out from it. Saturn has got you covered! 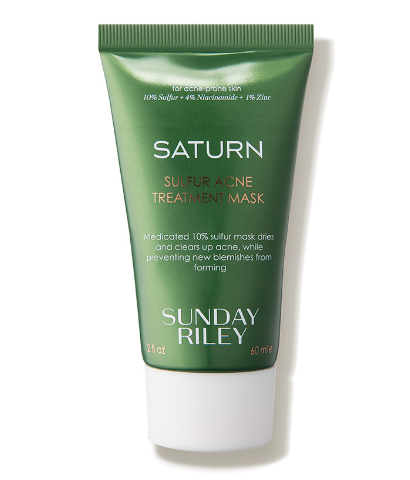 This blemish treatment mask helps clear clogged pores, acne, and rosacea while purifying your skin. Everything in one – it can’t get easier than this! Looking for the perfect cleanser that has natural ingredients and won’t strip the skin of its natural oils? Look no further! We’ve found the most ideal cleanser possible. 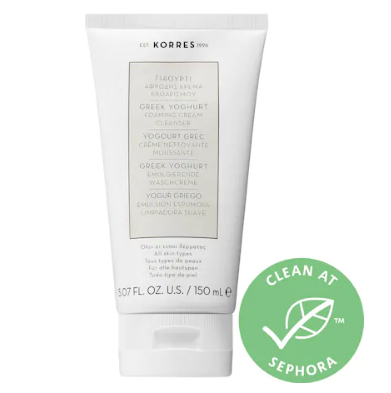 It is made with greek yogurt, minerals and vitamins providing a soft and nourishing feel. Your makeup can now be removed without feeling tight and irritated. Say goodbye to dry and red winter skin! Ladies, don’t forget about your SPF! It is so important to protect your skin from the sun, especially in the winter. There are so different many types that cater to acne prone skin, oily, mature, dry, etc. 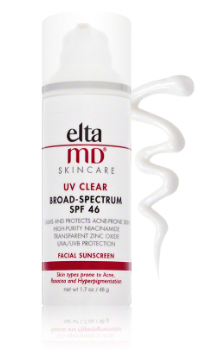 Find your perfect SPF in the link above that would best fit you. Let’s stay hydrated and protected this Feburary! 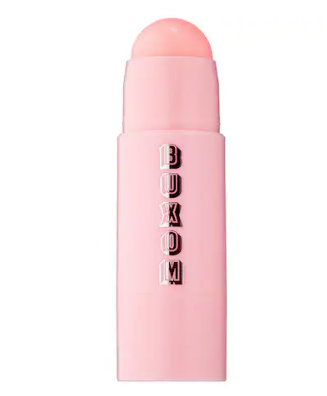 No one enjoys having chapped and cracked lips, so boost the hydration with Buxom’s lip treatment. This unique balm blooms to your custom shade by reacting with the pH level of your lips. It comes in multiple shades providing the most flattering fit. Buxom also added a plumping ingredients so you get that extra volume. Sign me up! Mask Sheets are a must all year round, especially in the winter to soothe the skin for an instant pick-me-up. 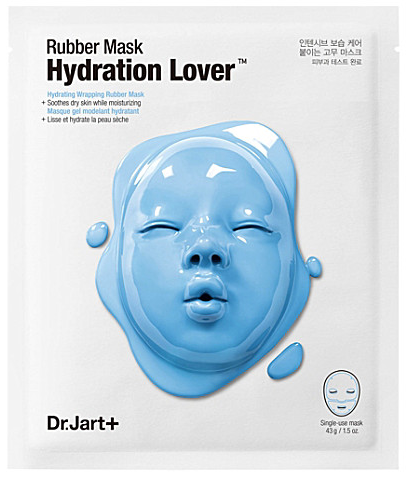 This rubber mask locks in all the moisture making sure the skin is completely penetrated. Dr. Jar+ has created the most perfect mask with hydrophilic actives, keratin, and botanical proteins. It also helps fine lines and pores while making the skin supple and dewy. So much happening here and we love it all! It is so hard to find makeup that won’t look cakey, heavy, and dry while also being on the cheaper side. 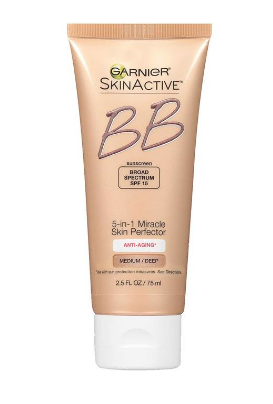 This BB Cream is a game changer; it has a perfect consistency of being creamy and moisturizing but goes applies lightly. Garnier has created a 5-in-1 skin perfecter that is so simple and easy to use. Not only that – it is at the great price of $12!